Offers Galore. See All The Latest Bookie Deals Right Here – It’s a BIG List! It’s another big weekend of domestic football coming up. So what better way to indulge yourself than with the latest offers and special deals from our leading bookmaker partners. If you have any questions or queries about the best way to play out any of the offers then please just drop us a line to info@bet72.com and we will be happy to help. So let’s kick off and make some profits…. SPORTNATION 21/04/19 If your team scores first in the first 5 minutes, you’ll get paid as a winner no matter the result - Opt in and place a single bet on the pre-match 1x2 match result market of any Premier League or Championship Live TV fixture shown on Sky Sports, BTSport or any fixture shown in the list below up to £1,000 (bets on the draw do not qualify for this offer). If your team scores first in the first 5 minutes (up until 4.59 on the game clock), you will be paid out as a winner regardless of the result. Cash winnings will be credited to accounts within 24 hours of the market settling. BET365 21/04/19 2 Up - Place a pre-match single bet on the Full Time Result market and if the team you back to win goes 2 goals ahead at any stage during the match, we will settle your bet early as a winner. So if your team goes 2 goals up, you will be paid out in full and still get to keep your winnings even if the opposition comes back to draw or win the match. This offer applies to all games from the English Premier League, English Championship, English EFL Cup, Spanish Primera Liga, Italian Serie A, and German Bundesliga as well as Group Stage matches from the UEFA Champions League and UEFA Europa League. BETFRED 21/04/19 Double Delight & Hat-trick Heaven - Place a first goalscorer bet with Betfred on selected matches and if your player scores a second goal, they'll double your first scorer price, if he gets a hat-trick, they'll treble the odds. Applies to pre-match singles on first goalscorers in normal time (90mins). Maximum cash returns £6000 per customer per match. BETFRED 21/04/19 Place a 5-fold or greater accumulator with Betfred (min odds 1-3 per leg) on selected football matches and if one leg lets you down, they’ll refund your stake as a free bet up to £10. DAFABET 21/04/19 Place a bet single bet of at least £5 in the 1st goal scorer market. If your 1st goal scorer fails to score the 1st but gets the 2nd goal, we shall refund your stake up to €/£50. DAFABET 21/04/19 Place your bet on the FT prematch correct score and/or HT/FT and automatically get a refund up to €/£50 on your bets every time the match ends in a scoreless draw (0-0 after 90 mins). Want to have all the inplay facts & statistics you will ever need to improve your football trading, realtime at your fingertips for every live match? Let me hand you over to the boys from InPlay Trading to tell you more…. 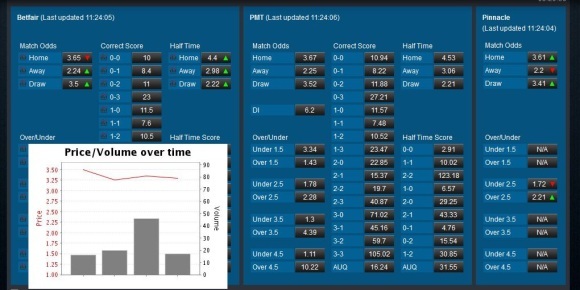 Welcome to the all new Inplay Stats Scanner. This brilliant Scanner will save time and effort ensuring more of that precious time is spent on the important task of making money. How often has time been wasted looking up inplay stats and opening various browsers and about to jump on something that stands out to find Betfair have SUSPENDED and a goal has been scored. Opportunity gone, profits lost, back to the drawing board. It’s happened to us all! Very frustrating indeed. With this tool, however, you will spot instant opportunities in front of you on one page, using just one browser and manage to get on them to lock in profits as the goals fly in the net without the inconvenience of checking other sites in those seconds which can cost you lost £££. The tool covers those important aspects of a match inplay. Stats include Shots On Target and Off Target, Corners, Possession, and Red Cards which form an integral part of an assessment on a game that you are trading. The Scanner updates all these statistics automatically as the game is played. Inplay. In real time. 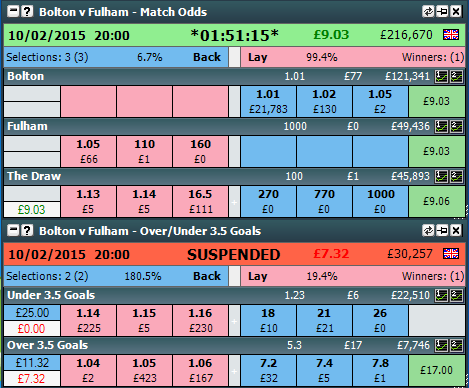 The tool shows odds at Kick Off that will give you a comparison of the same market prices at any given time inplay. There are also Betfair graphs and much more. A trader might spot a game with 7 Shots On Target after 15 minutes. He decides to Back Over 2.5 and 1-1. You see an underdog at home having 66% Possession, 4 Shots On Target, 3 Corners to nil. You decide to put a small Back on them at odds of 3.5. Members will also be able to set up the tool as they want to cover their own Strategies. For example, when a game is 0-0 and the draw hits 2.0 a notification sound will notify the user that a game has reached that trigger allowing the trade to be put on instantly via the Betfair price showing on the Scanner tab. Others might choose to Back Over 2.5 when the price hits 3.0 or Back favourite when they are 1 down. This tool is a must have addition to the armoury if you’re serious about making money on the betting exchanges. Successful trading is about making correct decisions. It is also about timing. The Inplay Scanner will help you make those all important decisions and quickly, consequently increase your profit potential. Here are a few glimpses of the software and what you can do with it…. Fantastic stuff. We have been playing around with the software for the last few days and it is nothing short of genius. 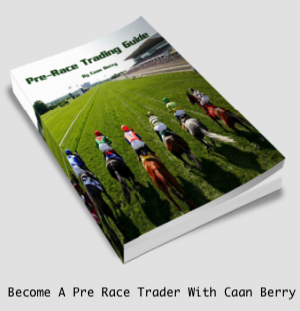 We have now added 8 free sample trading tips to the help page within the Members area to give some of you a few ideas on what sort of strategies the tool can be used in conjunction with. So don’t delay, get InPlay Trading today…. Back a player to be first goalscorer in selected games, if he is and then goes on to grab a second within the 90 minutes, we’ll double your first scorer price – and if he bags a hat-trick within 90 minutes, Fred will treble it! Odds doubled from 7/2 to 7/1! Odds doubled from 9/2 to 9/1! Odds doubled from 3/1 to 6/1! Odds doubled from 9/1 to 18/1! Odds doubled from 5/2 to 5/1! Odds doubled from 11/4 to 33/4! Offer applies to betfred.com and mobile. Offer is fulfilled in real cash. Maximum cash returns £6000 per customer per match. Own goals do not count. Extra time does not count. Offer applies to bets taken prior to kick off only. In play bets do not count. Real cash credited within 24 hours of winning bets being settled. Bets using existing free bet tokens do not count. General Betfred.com rules apply, see website for details. A cracking video from Adster Pre Match Trading that really encompasses what the whole service is about. Email dated: 29th August 2016……..
Emo has done the business gain and added Maxbets to Auto pages, just refresh page when on one to bring it up. Maxbets is one of if not the biggest Asian bookies and like SBO is good for showing Asian trends. Just to remind others Pinnacle is best 2-3 hours from kick off right up to kick off and Spreads is best for early bets, night before etc. With the season only 2 weeks old we have an international break which means lot of lesser games which means less liquidity so please consider using smaller stakes aside the internationals themselves. Also please remember with PMT subs you also get access to the IPT Inplay Room free where I and other pro traders post their trades and more often we profit. I am usually in Saturday afternoons and Tuesday and Thursday evenings so feel free to come in, sit on the sidelines, observing or contributing and jumping on trades posted, it’s a great place to be with like minded traders. An over £50 profit before a ball has even been kicked is not something to sniff at, look…. We now have the full back catalogue of videos from the PMT site over on our media site, GreenUpTV, look…. The team over at Pre Match Trading will show you how to make a profit before a football match starts. Before a ball has been kicked. Before the teams come out of the tunnel. Even the team news has been released? Here they are with more details…. 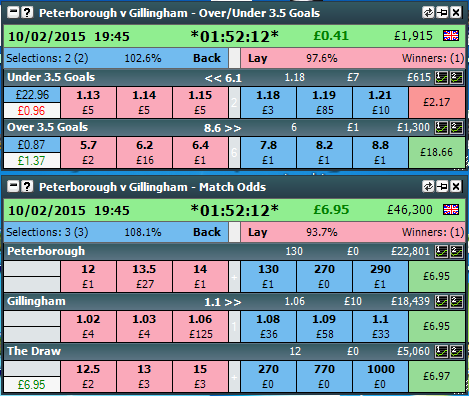 Our prematch trading tool nicknamed “Shirley” can do exactly that on the trading exchanges like Betfair/Betdaq. Shirley is a football markets model based on probability theory and statistics. The software uses prices in liquid markets and calculates relevant prices in secondary markets thus allowing users to spot mispriced events and profit from trading them before the game has started. After 12 months of testing and tweaking for major leagues and international games we took the decision to give out some tips to the members of trading football for 3 months at the end of the 2011 season. The success, popularity and demand for these tips were key factors in putting this site together and offering the tool to a select few. Our members will be able to capitalise and take advantage of misaligned prices in markets like the correct score, 1.5 to 3.5 under/overs and other markets. For ease of use the top 5 most liquid games for the day are calculated automatically. Due to the increase in numbers on exchanges over bookmakers and so many games and markets from England to Germany, Spain and Italy offering excellent liquidity the tool can be used as little or as often as the subscriber wants. We also feel it will be ideal for the part time trader as the majority of games are evenings and weekends. With the small matter of the World Cup, Euro Championship and other major competitions the tool can effectively be used for internationals as well as for domestic leagues, thus allowing it to be used all year round. Marvellous! A high percentage of profitable trades is very achievable if the software is used as per the instructions on the members’ help page. A better understanding of how football markets are related to each other, ways to trade more than one market and offset profit/loss for an overall green outcome in most games. We have all had losing trades, generally as a rule though most people do not keep screenshots of those losing trades! Shirley is a scalping tool so profit compared to bank size is not big – please check the screenshots gallery, we used stakes of 100 ~ 500 max. To maximise profits users can recycle their stake money once matched over and over again. For any questions or if we can assist in any way please use the contact page and we will respond to your query as soon as we possibly can. We hope you enjoy using this trading tool. For those that haven’t here is a screenshot. We’ve now added HT markets and graphs. The graphs are BF graphs, (I’ve hovered the mouse on the 1.5 market below) and the HT markets show the prices before KO and not what they will be at HT. Marvellous. So now everyone can have access to two fantastic services and automated software tools for one low price. You will also benefit from email tips will be sent out to members, plus tutorial videos. Plus here is also an excellent Chat room facility and email support for all members too. To find out more about how you can get involved with this service (and get the new DI tool for FREE) just click below. You can even get a 14 day trial account for just £20! The European Championships begin this Friday (10th June) with 24 nations bidding for glory in France, with home nations England, Wales and Northern Ireland among them. A recipe for plenty of misery, well maybe, especially for us long suffering England fans but it is not all doom and gloom as the Bookmakers have been on a mission to keep the smiles on all our faces with a bucket load of free bets, bonuses, competitions and well just other great offers. Of course bet72 have been at the forefront of all this and we will be on top of everything to enable everyone to have the most profitable tournament ever, whoever you are following. Right then let’s kick off and make some profits. Enjoy the tournament. 10BET 10/07/2016 Place a 4 fold or greater accumulator on any sport with 10Bet and if you miss out by one selection then they'll give you money-back as a bonus up to £50 - To claim your bonus, send an email to csd@support.10bet.co.uk with your bet number and quote “ACCA MONEY BACK” - At least three of the selections in qualifying accumulators need to be at odds of 1.6 or greater - In order to cash out the money back, it must be rolled over 5 times on odds of at least 1.60. BET365 10/07/2016 Have an each-way First Goalscorer bet on any match, and be safe in the knowledge that if your player scores at any time during the game we will pay you out. 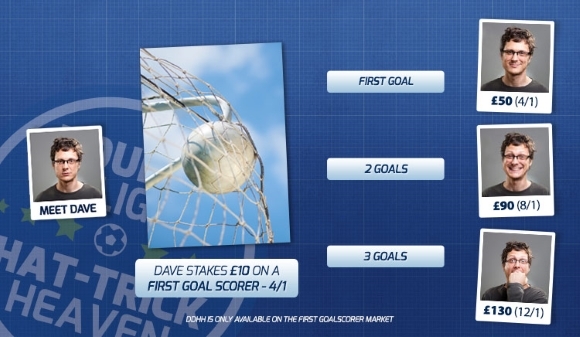 Each-way bets are settled on all goalscorers at 1/3 odds for unlimited places in 90 minutes play. BETBRIGHT 10/07/2016 BetBright are offering money back as a free bet if 1 selection in your football 5fold lets you down. Plus, if two selections let you down then you will receive 50% of your stake back. All selections must be at odds of 1/2 or greater. Max free bet refund £25. BETFAIR 10/07/2016 Match Odds Acca Insurance - Opt in and place a MATCH ODDS fivefold (or above) Sportsbook (Fixed Odds) multiple on any football matches offered on www.betfair.com/sport/football. Minimum accumulative odds 4/1 (5.0) and minimum odds per qualifying leg of 1/5 (1.2). If your Match Odds multiple has exactly one incorrect result, we will refund your stake up to a maximum of £/€25 as a free bet token. If you get two or more results wrong, or your bet wins, you will not receive a credit. BETFRED 10/07/2016 Betfred £30k Season Giveaway - Get rewarded for placing your football bets with Betfred - for every £5 you stake on football bets this season, you'll earn one raffle ticket. Each month all raffle tickets will go in to a random draw and we'll pick out 3 lucky winners PLUS at the end of the season, the customer who has the most raffle tickets will win a trip to the Euro 2016 final! There'll also be £5,000 in prizes awarded to those who finish in the top 10! CORAL 10/07/2016 Place a 6 Fold + pre match football accumulator on the ‘Match Result' market and if one team lets down your 6-8 fold acca, up to two results let down your 9-10 fold acca or up to three results let down your 11 fold + acca we will refund your stake as a free bet up to £/€25. DAFABET 10/07/2016 Make at least a five selection football accumulator bet on any football match. If you make a miss by 1 bet, then we shall refund your stake up to €/£50 as a free bet. DAFABET 10/07/2016 Place a bet single bet of at least £5 in the 1st goal scorer market. If your 1st goal scorer fails to score the 1st but gets the 2nd goal, we shall refund your stake up to €/£50. DAFABET 10/07/2016 Place your bet on the FT prematch correct score and/or HT/FT and automatically get a refund up to €/£50 on your bets every time the match ends in a scoreless draw (0-0 after 90 mins). GENTINGBET 10/07/2016 Place a 5 team or more acca on any football matches from any League and we’ll give you your money back as a free bet (up to £20) if just one of your selections lets you down! PADDYPOWER 10/07/2016 ACCA Insurance - If one leg of your 5+ fold Win-Draw-Win ACCA on UK and top European Football leagues lets you down, we will give you your money back as a free bet on football. POKERSTARS 10/07/2016 Place a fivefold (or more) football accumulator on the ‘Match Result’ market and if one of your legs loses, we’ll refund your stake as a Free Bet up to $/£/€50. Note that all selections in the accumulator must have odds greater than 1.20 (1/5). SPORTINGBET 10/07/2016 Earn a bonus of 25% on all winning accumulators with 5 or more selections - Applies to English Premier League, English Championship, English League 1, English League 2, FA Cup, Capital One Cup, UEFA Champions League, UEFA Europa League, Spanish Primera Division, Ialian Serie A, German Bundesliga 1, French Ligue 1, Scottish Premiership. VERNONS 10/07/2016 Acca Insurance - Let Down By Just One Result On Any Accumulator With Between 5 And 10 Selections And We Will Give You A Free Bet To The Value Of Up To £25 To Have Another Go (T&C's Apply). WINNER SPORTS 10/07/2016 Place a 5-fold multiple and if one football match lets you down, Winner.com will refund your stake as a free bet up to £200. 188BET 10/07/2016 Place five or more bets (min £10 each) with 188Bet on Euro 2016 and they'll give you 10% money-back as a free bet on any losses up to £100. The promotion is based net losses throughout the tournament between 10 June 2016 and 10 July 2016 - net calculation is based upon, win/loss amount. To claim on this promotion, email the promotion code EURO100 and 188BET username to promo@ 188service.com by 23:59 on the 10th July 2016. 888SPORT 10/07/2016 Place a pre-match Correct Score or Win-Draw-Win bet with 888sport on any Euro 2016 game and if your bet is winning going into the 88th minute and then loses as a result of a goal, they'll give money-back as a free bet up to £25 (min £5). 888SPORT 10/07/2016 Get and win: Log-in to 888sport on your mobile before or during each France ‘16 match on any given day, and then play the game to win Free Bets Repeat: Bet every day during the tournament to keep getting access to the game – remember, you could win a Free Bet before or during EVERY Euro match up to and including the final! BET365 10/07/2016 Place an Outright Winner bet with Bet365 for any nation in Euro 2016 and if the team you back is eliminated in a penalty shoot-out, they'll refund your losing bet. The offer is available pre-tournament and in-play until the Euro 2016 final kicks off at 20:00 Sunday 10th July 2016. BETBRIGHT 10/07/2016 Double odds awarded as a free bet if your winning First Goalscorer scores again in any game during the Euro 2016 Championship - First Goalscorer market only. Min stake £1, max applicable stake £10. Max bonus £100. BETBRIGHT 10/07/2016 Money back if the selected First Goalscorer’s team fail to score - First place bet only. Min bet £1, max refund £10. BETBRIGHT 10/07/2016 Place a First Goalscorer bet on any 2016 Euro Championship match and if your selection fails to score the first goal, but does score the second goal you will receive a free bet up to a maximum of £10. BETFAIR 10/07/2016 Place a pre-match single with Betfair on selected goalscorer markets for any Euro 2016 game and if your player scores two or more goals, they’ll double your winnings as a free bet up to a stake of £10. BETFRED 10/07/2016 Place a first goalscorer bet with Betfred on any Euro 2016 match (10th June - 10th July) and if your player scores a second goal, they'll double your first scorer price, if he gets a hat-trick, they'll treble the odds. Applies to pre-match singles on first goalscorers in normal time (90mins). Maximum cash returns £6000 per customer per match. BETSAFE 10/07/2016 Bet on the Euros on your mobile and score an extra 20% on your net winnings up to £200 - Opt in & place a minimum of 6 bets any Euro matches from 21.06.2016 to 10.07.2016. Win and win 120% Your 20% will be paid in cold hard cash on 11.07.2016. With 20% more to play for there’s never been a better time to bet – don’t miss out! BOYLESPORTS 10/07/2016 All losing bets refunded as a free bet if either side hit the crossbar. Customers must Opt-In to receive this offer. Applies to pre-match bets only. Applies to all group matches at euro 2016. Applies to ALL LOSING BETS over ALL PRE MATCH MARKETS. Applies to single bets only. BWIN 10/07/2016 Place a bet with Bwin on the 'half-time/full-time' market for any game during Euro 2016 and if a Red Card is shown and your bet loses, they'll refund losing bets as a free bet up to £25. Applies to single pre-match bets only. One free bet per customer - first bet in the match counts. CORAL 10/07/2016 Free Daily Euro Fivers - To participate, customers must use their Connect card in any Coral shop, at the counter, to place a minimum £10+ bet on any Euro 2016 fixture before 17:00 GMT. Customers who make a successful qualifying bet will receive an instant free £5 Football bet voucher, available to redeem on the same day only between 17:01 GMT-22:00 GMT. Offer available to Connect customers aged 18 years or over.Offer available in all Coral shops between 10/06/16-10/07/16. GENTINGBET 10/07/2016 We are giving you a fantastic offer on the Euro 2016 Final between Portugal and France. Simply place a £20+ in-play bet on the match and we’ll give you a totally free £10 Live Casino bonus that you can use to experience our great selection of new live games. MATCHBOOK 10/07/2016 100% Commission Refund on Handicap markets if the game finishes in a draw. If you bet on a handicap market on Matchbook and the game ends in a draw your commission will be refunded. NETBET 10/07/2016 Enjoy the European Tournament stressless. The European Tournament will host the most unpredictable games. Football games are like a rollercoaster ride and we want you to enjoy every single match even when your team let you down. This is why we've come up with 2 amazing offers: 1 We'll double your winnings if your team wins the game from a loosing position - 2 We'll refund your bets up to £25 if your team let you down after being ahead at any point in the match! Minimum stake £10, only on 1x2 market pre-event bets. Your winnings (winnings - stakes) are doubled up to £25 as a Free Bet. We refund your losing bet up to £25 as a Free Bet. SPORTINGBET 10/07/2016 If any Euro 2016 match ends 0-0, we will refund all losing pre match First Scorer, Last Scorer, Anytime Scorer, Double Result (HalfTime/FullTime) and Correct Score bets, as a free bet up to £25. TITANBET 10/07/2016 Place 10 separate singles of £10 or more on Euro 2016 matches (min odds 1-2) and receive a £10 free bet to use on the tournament. TOTESPORT 10/07/2016 Place a first goalscorer bet with Totesport on any Euro 2016 match (10th June - 10th July) and if your player scores a second goal, they'll double your first scorer price, if he gets a hat-trick, they'll treble the odds. Applies to pre-match singles on first goalscorers in normal time (90mins). Maximum cash returns £6000 per customer per match. UNIBET 10/07/2016 Place a pre-match bet on any Euro 2016 match if a goal is scored in Injury Time (after the 90th minute), they'll refund losing bets as cash up to £50. This offer requires an opt-in through Unibet's promo page - only bets with a stake up to £50 will be refunded, any bet with a higher stake does not qualify for a refund. Available on the Correct Score, Halftime/Fulltime, First Goalscorer and Last Goalscorer markets. VERNONS 10/07/2016 We will refund all losing First Goal Scorer, Anytime Goal Scorer, Half time/Full time market bets on ANY SCORE DRAW with a free bet token worth up to £50. (T&C's apply). REALDEALBET 10/07/2016 It’s on! Portugal v France will be one fierce fabulous final fist-fight to determine the Champions of Europe - Place your £30 pre-match wager on the big game and score a £10 Free In-Play Bet. Leo Vegas Sport 10/07/2016 Bet £10 In Play on both the Men’s Wimbledon Final and the Euro 2016 Final and we’ll give you a £10 Free bet to use next week. All you have to do is bet £10 in both finals at odds of 1.5 or greater and we’ll give you a £10 Free bet to use next week. LADBROKES 10/07/2016 Place a pre-match bet in selected markets with Ladbrokes on the Euro 2016 final; Portugal v France and if the game ends in a draw (in normal time), they'll refund losing bets as a free bet up to £25 per market. This is an eagerly anticipated finale to, what has been a great competition, both on the field with some amazing action & great matches but also off the field with all the bookmakers pulling out all the stops to make this the most profitable game of the season. And of course you don’t need to go anywhere else, as here at Bet72 we have every single offer for the final right here. Plus as we find them then we will keep adding them too, so keep checking back for the very latest offers. BETFAIR 28/05/2016 Place a pre-match single with Betfair on selected goalscorer markets for the Champions League final - Real Madrid v Atletico Madrid (19:45 Saturday 28th May) and if your player scores two or more goals (in 90 mins), they’ll treble your winnings as a free bet up to a stake of £10. BWIN 28/05/2016 Bet on the 1st goalscorer of the game and get your usual winnings if he hits the back of the net. If he scores again, we will double your winnings in the form of a FreeBet. Pick any game in the Champions League - Europa League - Bundesliga - Premier League - La Liga and go to the 1st goalscorer market. Bet on the player you think will score first and that’s it. BETVICTOR 28/05/2016 Place bets of £5 or more with BetVictor on Euro 2016 matches and markets (plus selected end-of-season finals) and get entries for a chance to win £1Million if you predict the the goalscorer and time of the first goal in the Euro 2016 final. PADDYPOWER 28/05/2016 Real Madrid v Atletico Madrid Free In-Play Bet - Place GBP/EUR 20 or more in single bets at minimum odds of 1/2 or greater before kick off on the Real Madrid v Atletico Madrid Champions League Final match and get GBP/EUR 10 in free bets to use in play on that match. BET365 28/05/2016 Place a pre-match bet on the Real Madrid v Atletico Madrid game and we’ll give you a risk free In-Play bet to the same stake on the big match. To qualify for your risk free In-Play bet, simply place a bet before kick-off then, once the game starts, place another bet on any In-Play market. If your FIRST In-Play bet loses we will refund this stake, up to the same value as your largest pre-match bet (max refund £50*). GENTINGBET 28/05/2016 Score More Win More - Place a £10 pre-match bet on any qualifying market at odds 1/2 (1.5) or above and we’ll give you a free bet equal to the amount of goals scored in normal time on this year’s Champions League Final. Only bets on the following markets qualify: Match Result (1X2) - Correct Score - First Goalscorer - Half Time/Full Time. Free bets will be credited to your account within 24 hours of your Qualifying Bet settling and expire if not used within 14 days. 188BET 28/05/2016 If a Red Card is shown in the Champions League final between Real Madrid v Atletico Madrid on Saturday 28th May 2016 19.45 GMT+1, we will refund all losing bets, up to a maximum of €/£25. The refunded stake will be credited as a free bet. 888SPORT 28/05/2016 Make a deposit of £20 or more with 888sport using promo code 888TV, then place a bet of £20 or more on any sport (min odds 1-2) and receive a £10 free bet. A qualifying bet is a ‘real money’ bet (single or accumulator) of £20 or greater placed at minimum cumulative odds of 1-2 (1.5), each-way bets count but must be at least £20 each-way. The qualifying bet must be placed within 14 days of making a successful deposit using promotion code 888TV. BETFAIR 28/05/2016 If you think this Championship belongs to Atletico then enjoy the spoils of faith. Pick Atletico Madrid and receive a £5 match on Blackjack and Roulette. If you think Real Madrid have what it takes, then get ready to score. Pick Real Madrid and receive a £10 match on Slots. Both bonuses have a wagering requirement of x20. POKERSTARS 28/05/2016 Refund If Match Ends a Draw - Simply place a Pre-Match bet on one of the following markets – ‘First Goalscorer’, ‘Last Goalscorer’, ‘Anytime Goalscorer’, ‘To Score 2 Goals Or More (Player)’, ‘Correct Score’, ‘HT/FT’ - on the Champions League Final on May 28 and if the match ends in a draw after 90 minutes, we’ll refund losing bets with a Free Bet up to $/£/€20. LADBROKES 28/05/2016 On Saturday 28th May Atletico Madrid meet Real Madrid in Milan for the Champions League final. We have a huge Money Back offer available in shop to all our customers. If both teams score in the Champions League final (90 mins only) then we will refund losing stakes up to £25 as a free bet per market. The markets are: Match Result (Grid card holders only) - Correct score - First Goalscorer - Half time/ Full time *You can get a one free bet per market up to a maximum of £100. I am old enough to remember when FA Cup Final day was special. The most exciting day of the season (well being a Reading fan it was the only highlight back then stuck in Division 4). It was one of the few live games you ever got to see on TV and just thinking back to those old epic editions of Grandstand and World of Sport brings back so many happy memories. Now we get most rounds shoehorned into the calendar and they have even moved the bloody kick off time of the final to 5:30 too…..Don’t get me started but it is all very sad indeed. So here at bet72 we are on a mission to recreate the “magic” of cup final day with every single free bet and bonus offer out there on the big game (and these are all for existing users too). At least maybe a few extra quid in your pocket will go a little way to compensate for these faceless executives and so called big wigs who are slowly and surely wrecking our beautiful game…..
OK rant over, let’s make some £’s! BET365 21/05/2016 Have an each-way First Goalscorer bet on any match, and be safe in the knowledge that if your player scores at any time during the game we will pay you out. Each-way bets are settled on all goalscorers at 1/3 odds for unlimited places in 90 minutes play. DAFABET 21/05/2016 Place a bet single bet of at least £5 in the 1st goal scorer market. If your 1st goal scorer fails to score the 1st but gets the 2nd goal, we shall refund your stake up to €/£50. DAFABET 21/05/2016 Place your bet on the FT prematch correct score and/or HT/FT and automatically get a refund up to €/£50 on your bets every time the match ends in a scoreless draw (0-0 after 90 mins). BOYLESPORTS 21/05/2016 Crystal Palace v Man United - Money back as a free bet ALL LOSING BETS if either side hit the crossbar. BETFRED 21/05/2016 Place a bet on the anytime goalscorer market in the FA Cup Final and if your player scores in extra time we'll pay you out as a winner. PADDYPOWER 21/05/2016 Place GBP/EUR 20 or more in single bets at minimum odds of 1/2 or greater before kick off on the Crystal Palace v Man Utd FA Cup Final match and get GBP/EUR 10 in free bets to use in play on that match. LADBROKES 21/05/2016 Place a bet with Ladbrokes on selected markets for the FA Cup final; Crystal Palace v Man Utd and if both teams score, they'll refund losing stakes as a free bet up to £25. Valid for Correct Score, First Goalscorer and Half Time/Full Time markets. SMARTLIVE SPORT 21/05/2016 Bet on Saturday's FA Cup Final between Manchester United and Crystal Palace (any pre-match market) and if Anthony Martial scores we'll refund your losses up to £20 - 90 minutes and extra time apply for this promotion. Refunds will not be activated if Martial only scores in a penalty shoot out. 888SPORT 21/05/2016 Make a deposit of £20 or more with 888sport using promo code 888TV, then place a bet of £20 or more on any sport (min odds 1-2) and receive a £10 free bet. A qualifying bet is a ‘real money’ bet (single or accumulator) of £20 or greater placed at minimum cumulative odds of 1-2 (1.5), each-way bets count but must be at least £20 each-way. The qualifying bet must be placed within 14 days of making a successful deposit using promotion code 888TV. CORAL 21/05/2016 Bet and Spin FA Cup Final - Place a £/€10+ pre match bet on ANY MARKET of the FA Cup Final match Crystal Palace v Man Utd. From Monday 16th May to kick off on Saturday 21st May 2016 and get a Casino bonus up to £/€100**! POKERSTARS 21/05/2016 Money Back on English, Spanish and Italian Cup Finals on 21st and 22nd May as a free bet, if the match goes to penalties. NETBET 21/05/2016 Bet £20 on either Crystal Palace or Manchester Utd to win the game in 90 minutes and we will give you a £5 Free Bet for each goal that is scored for the team you bet on - To participate, all you have to do is sign into your NetBet account - Opt in - Bet £20 on the Match Betting market on the Crystal Palace vs Manchester Utd match - NOTE: Only pre-game single bets on the Match Betting market are eligible for this promotion. Duplicate bets do not count. One bet qualifies per customer. Free Bets applied to maximum of 2 goals scored per side. So a big game calls for a big set of offers and the bookmakers have not disappointed. Here are the pick of the best current and ongoing offers available so far from our leading bookmaker partners and remember all these offers are for existing users too. Yes the Champions League is ready to roll for another season and we are looking forward to some great nights of action and of course some great nights of profits too. So to get you in the mood here are some of the highlights from last season’s competition. Until midnight on Sunday you can now get one weeks free access to the Inplay Scanner. This software is the essential bit of kit to have at your disposal if you serious about trading football inplay. Search all the live tradable matches, see live auto updated stats from every game on one page, setup match alerts and filters as well as the brilliant new Pressure Indicator which will show which side is pushing for the next goal. These are just some of the great features included. Anyone who has been following our main social sites (FACEBOOK & TWITTER) will be well used to the screens of green that we post up thanks to this brilliant piece of software. It really does give you an extra pair of eyes on the markets and spots opportunities that could easily be missed. Take Tuesday (10 Feb) for example…. All picked out by the scanner as the matches unfolded…. 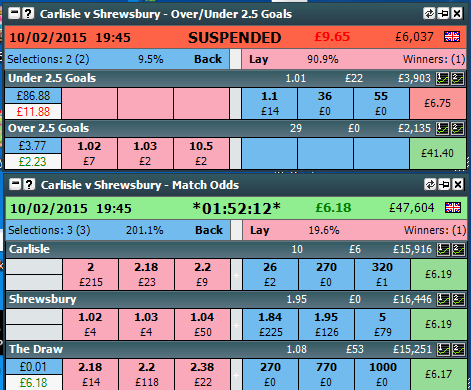 ** Finished 2-1 Carlisle with the last kick of the game! Once inside the site not only will you have access to the software itself but also 7 proven profitable trading strategies so you can really hit the ground running. With a big cup weekend ahead plus a full European card of games and of course the Champions League back next week this is the perfect time to see the software doing what it does best. Ready for some in play action then? Just click below….